With JungleDocs for Office 365, you can easily automate the naming of your documents. This feature will not only save you time, but it will also improve the efficiency of your SharePoint. In this tutorial, you will learn how to automate document naming. To enable document naming, you simply have to edit an existing rule or edit one during its creation. 1. Scroll down to the AUTOMATION > File naming section. 2. In the File naming section, select Before save or After save. Choose Before save to see the naming immediately in the preview step. It generates the name before you can edit/fill generated document’s properties. 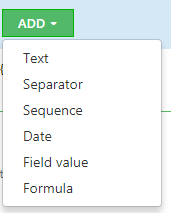 Choose After save if you need to include some field values from the generated document into the file name. 3. Now add the elements you want to be included in the file name. Read more about using formulas here. 4. Check that you have entered all the elements you want to be included in your future file titles, finish your rule and save. In this example case, we want to automate the file naming for contracts. 1. Navigate to the rule for creating contracts. 2. Scroll down to the file naming section. To achieve this we will first add a Date column. After that we will add a Field value column, we will set this to Company Title. Now we will add another Field value column, which we will set to Labels. 4. To make sure that the contracts are numbered correctly we add a sequence with a dependency. For this dependency we select Labels. By doing this we make sure that JungleDocs will query its database to find a current number of a specific label, and will then create the next one in the sequence. 5. Select Global if you want JungleDocs to take into account all documents with this label on all your sites and libraries. 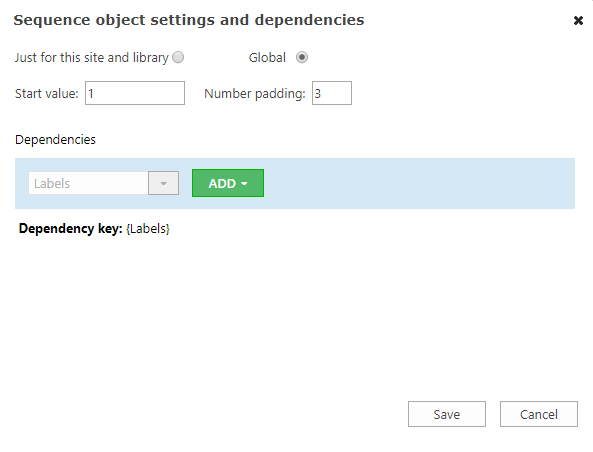 Select Just for this site and library, if you want it to just set the dependency locally. 6. By running the rule to create a contract with Contoso about food delivery, the automated file name would now be 2017-Contoso-FoodDlv-001. Find more examples and best practices in our blog post Define and automate SharePoint document naming.